My 3-Step Strategy For Easy, Effective, and Permanent Fat Loss - Welcome To Staley Strategies Online Fitness Coaching! Perhaps the most common goal of fitness enthusiasts everywhere is fat loss. And for good reason: Our modern civilization makes it very, very easy to be fatter than we’d prefer — our increasingly automated World makes physical activity almost superfluous, and to add insult to injury, food is tastier, faster, more plentiful, and cheaper than ever. Bottom line: modern life is literally engineered to make you fat. 1) Pick your parents carefully. If you’ve already done that, you’re probably not reading this in the first place, since your favorable genetics allows you to eat pretty much anything you want without consequence, you lucky bastards. 2) Carefully and consistently follow the habits and behaviors I’m about to share below. 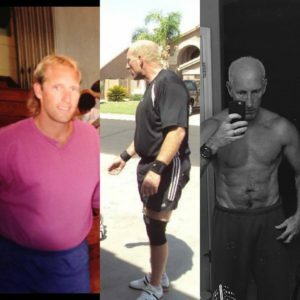 As a professional coach and trainer for over 25 years, I’ve worked with hundreds of fat loss clients, and as you’d expect, over the years, my client success rate has improved as I’ve gained wisdom and knowledge. Fat loss is simple, but not easy. After all, if it was easy, you’d have already achieved it. On the brighter side however, fat loss isn’t terribly difficult either. Most of my clients report that they didn’t experience much in the way of true hunger as they dropped unwanted pounds. The real challenge is that they simply couldn’t eat much of the foods they’d prefer to eat if they could do so without consequence. Step 1: Create A Mild And Sustainable Energy Deficit. Decades ago, everyone knew the key to losing weight was to eat less and move more. Today, an unfortunately large number of people have other notions about the subject: they think fat loss is about when you eat your meals, or secret supplements, or controlling insulin, or avoiding “processed” foods (Quick tangent: when you eat an apple, you’re eating a highly processed food — that apple was genetically modified, fertilized, cultivated, picked, shipped, packaged, and sold to you, and after that, it was probably washed and perhaps sliced before you ate it. That’s a lot of processing). Nothing could be further from the truth: Leaving long-term health aside for a moment, for fat loss purposes, as long as you’re consistently consuming less energy (measured in calories) than you consume, even if your diet was 100% fast food, you’ll lose body fat. And when you lose body fat, you’ll now look and feel better, and your health will have improved, even if your diet was pure garbage from a nutritional point of view. What are the best activities to use for increasing activity levels? Although any activity has at least potential benefits, my default activity for my clients is walking, and several short walks are probably more effective than fewer longer walks (the law of diminishing returns allies to walking as much as it does to anything else). That said, if someone has a history with and/or prefers skating, jogging, swimming, hiking, climbing, etc., those options are perfectly fine as well — the point is, you need to move more than you’re accustomed to. What is the best way to decrease caloric intake? And dear God, there are a LOT of diets out there, am I right? Let’s see, we’ve got paleo, intermittent fasting, keto, flexible dieting, and veganism, just to name a few of the more popular approaches currently. And of course, there are the commercial weight-loss programs such as Jenny Craig and Weight Watchers (both are very successful programs believe it or not). Which approach is best? The one that’s easiest for for you to stick with. It’s really that simple (and again simple ≠ easy). I’ve known many people who found great success using all of these methods. And while you’ll likely need to do a bit of self-experimentation, I’ve found the flexible dieting strategy (also known as “If It Fits Your Macros” or “IIFYM”) to be a great starting point. Click the link for details, but the crib notes are that you first determine your optimal level of protein, fat, and carbohydrates, and then you can eat whatever foods you prefer, as long as you hit your daily macro targets. This approach allows maximum freedom and minimal restriction, but it’s not the bast tactic for everyone — some people cannot manage to eat, for example, just two cookies, because doing so tends to lead to a catastrophic binge-fest, If you’re one of these people (and hey, we’re all adults here — if you are, you already know it), a more structured, “rules-based” approach will probably be more successful for you. As a bit of anecdotal support for that notion, classic bodybuilding diets are composed of very bland, boring foods, such as chicken breasts and broccoli. While meals like that are very low in “entertainment value,” they do satiate you much better than high calorie/low bulk choices (think: doughnuts), and they don’t tend to lead to uncontrollable cravings. A final note on choosing a nutritional approach: it might take a few stabs to arrive at something that works well for you. That’s not a sign of failure, it’s just how the process works for most people. Fat loss isn’t a magic trick, it’s a long-term process that requires patience and a willingness to stray at last a bit outside of your comfort zone. A final but VERY important point is that for the majority of people, meticulously tracking your energy intake as well as energy expenditure is critical to long-term success, and here’s why: many studies have shown that when people begin a formal diet and/or exercise program, on the majority of cases, they start to (unconsciously) reduce their activity levels during the hours when they’re not exercising. Whenever you attempt to create an energy deficit via diet and/or exercise, your metabolic processes, honed to near perfection over thousands of years of evolution, sense an impending famine, and through a variety of hormonal tricks, do everything in their power to counter your efforts. All of this means that you can’t leave anything to chance — it’s important to carefully track your energy input, as well as your output. If you find your eyebrows raising at this suggestion, consider the following question: if you started a new business, and you didn’t bother to track your income or expenses, what are the chances that your new venture would be successful? The good news is, tracking is much easier than you’d expect. There are all sorts of great phone apps that make the process simple and nearly pain-free. For tracking calories I personally like Lose It!, and for tracking activity, I just use the Health app on my iPhone. But there are all sorts of apps and devices available — if you’ve got a personal favorite, please post it in the comments below. Whenever you’re in an energy deficit, your body regards the muscle you’re currently carrying as more of a liability than anything else. After all, that muscle needs fuel, so if it’s not absolutely necessary for day to day survival, your body will cannibalize it for fuel. When that muscle is gone, you’ll be weaker and fatter, Your metabolic rate will have decreased. And, activities that used to be easy are now a bit more difficult, so you’ll be likely to reduce your activity levels to compensate. It’s a vicious cycle that builds upon itself, with very undesirable consequences. The resistance training strategy I use with my clients is called Primary Pattern Programming (PPP). It’s not designed for powerlifters, or weightlifters, or bodybuilders — it’s designed for busy people who are serious about getting in top-notch shape, but who need their workouts to give a maximum return on investment. Check out the link for more details. Whenever you have a goal of improving yourself in any way, conflict with your environment is inevitable. Your family and friends will unconsciously try to deter you, since your achievements will make theirs seem unpalatable by comparison. The people will sometimes suggest that perhaps you’re getting a bit too serious about your fitness goals, and will often attempt to sabotage your efforts by offering you a high-calorie treat from time to time. Your immediate physical environment will almost certainly require thoughtful modifications as well. The most obvious example of this is to avoid keeping “unproductive” (look, food isn’t about morality, OK?) foods in the house, where they are easily accessible when you are having a moment of weakness. And, keeping a plentiful supply of “productive” foods is perhaps even more important. If you’ve got (relatively) low calorie, fast and easy-to-prepare foods that you actually like at arm’s reach, you’ll be far more likely to resist temptation. Please Let Me Know How I May Be Of Service! I have two objectives whenever I write articles like this, and I’m banking on the idea that you’ll appreciate my honestly. First, I’ve learned an awful lot about fat loss over my 25+ years as a coach, and I absolutely love sharing what I’ve learned with others, in the hopes of making their learning curve faster and easier than mine was. And if articles like this put you on the path to success, I couldn’t be more thrilled. Others however (and this is my second objective) will greatly benefit from formal coaching, and as it turns out, I happen to offer just such a service ? You’ll find complete details in this link, but as a very short overview, I’m currently working with a number of amazing people from all around the globe. I work with my coaching group through a fully-integrated software system, and all my clients have unrestricted access to me via that software, and/or phone, email, Skype, Facebook messaging, etc. The program covers both the training and nutrition side of the equation, at a very affordable price. So if you’ve tried various fat loss programs over the years without success, and/or if you need accountability, and/or if you need better social support, and you’re determined to make 2018 your year, I’d more more than honored to help you make that happen. Questions? Comments? I’d LOVE to hear from you below!